For many years, the ELCA has been supporting clinics and programs in Africa that provide health care. Through the ELCA Malaria Campaign, the ELCA has joined with Lutheran partners in 13 African countries to become part of the global movement to make malaria history. 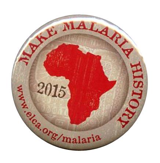 To find out more about the ELCA’s fight against malaria, click here.